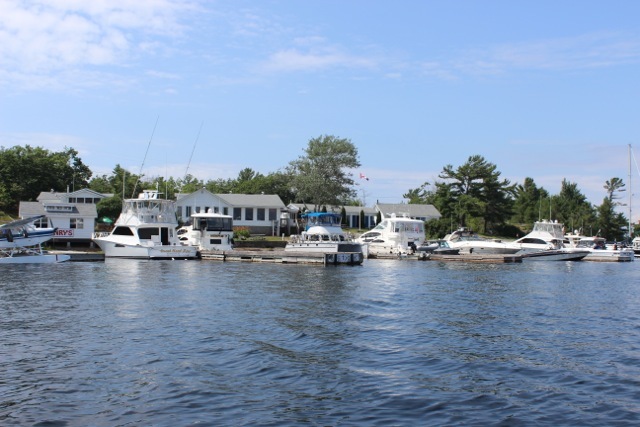 Located on Frying Pan Island in the Sans Souci area on the coast of Georgian Bay, Henry’s Fish Restaurant is known for its famous fish and chips including battered and pan fried Pickerel dinners. Henry’s is a Family Style Fresh Fish Restaurant with many other menu items as well. One of the more unusual aspects of Henry’s is that seaplanes fly in throughout the day dropping of hungry tourists so they can get their fill of Henry’s fresh pickerel. At lunch and dinner the air is full of seaplanes dropping in from Parry Sound and Midland. Overnight Slips Available with Hydro, Fresh water available as well. Please call on VHF Channel 68 for slip directions.